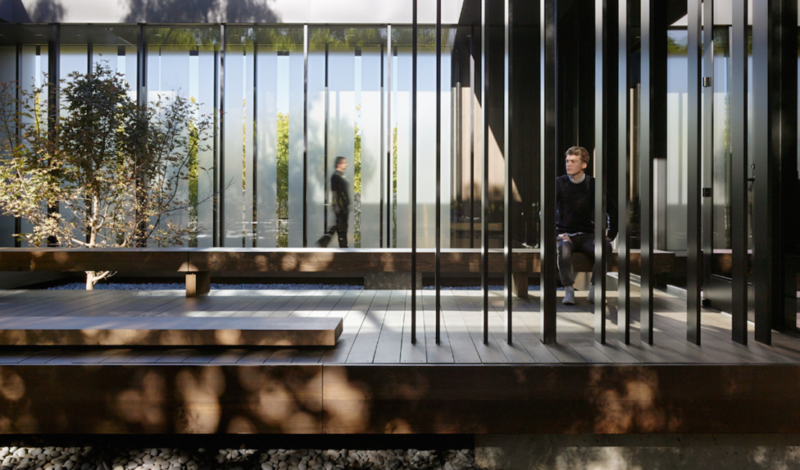 Materiality is the star at the new Windhover Contemplative Center at Stanford University, by Aidlin Darling Design and Andrea Cochran Landscape Architecture. 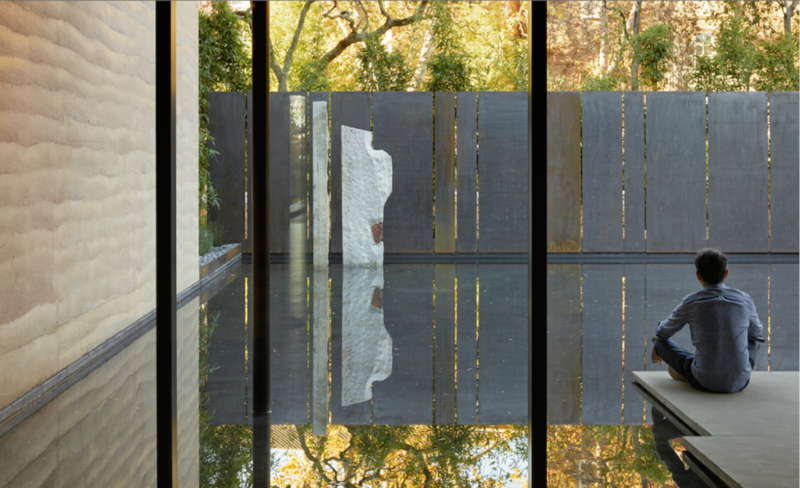 Rammed earth, stained oak, glass, river rock, steel, and water combine to create a unified, textural experience that awakens the senses. 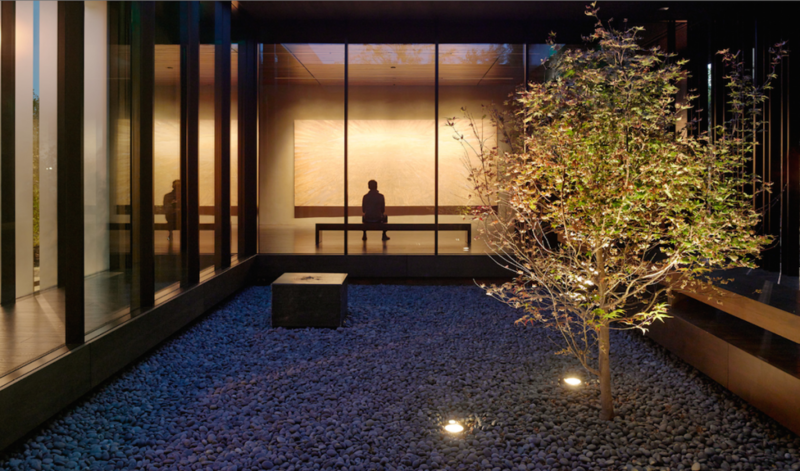 This is the type of simplicity, detail and richness that I admire in interiors and landscapes. This makes me envious of the students and faculty at Stanford who get to use this space. 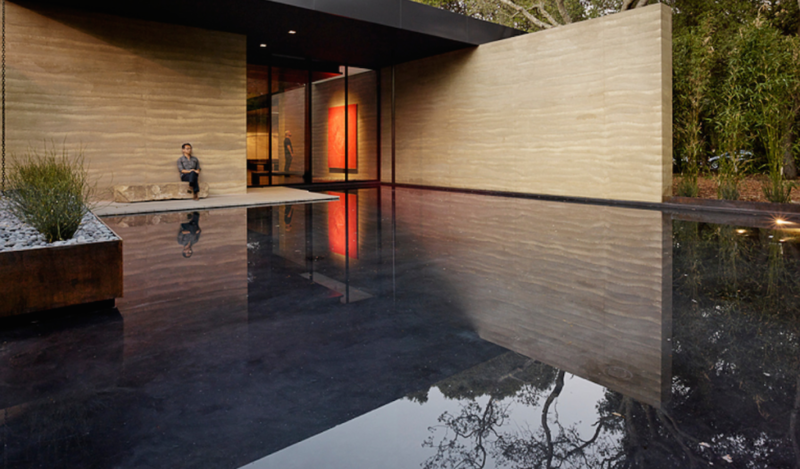 The rammed earth walls have a softness and repetition which is reflected in the water. 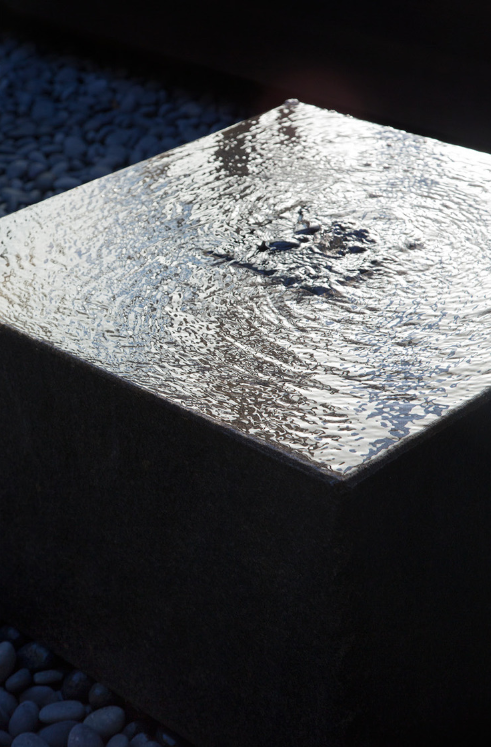 The textural difference is rich: smooth walls, rough stone, cold steel, smooth stone. 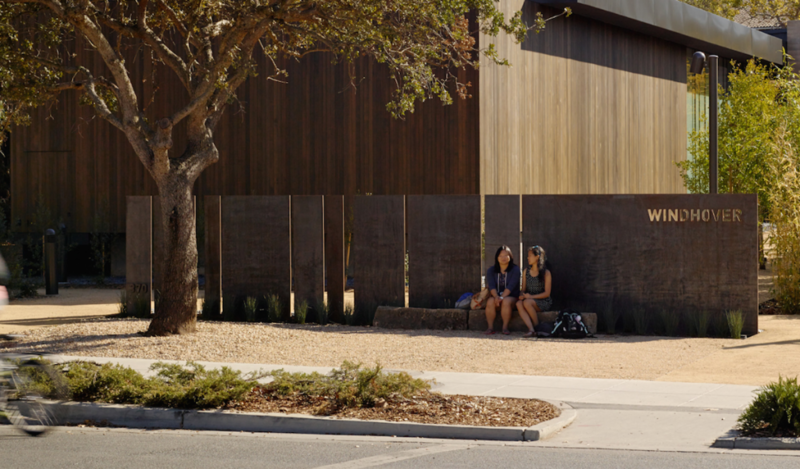 A certain rhythm is created in the repetition of vertical elements: screen, windows, perimeter fence. 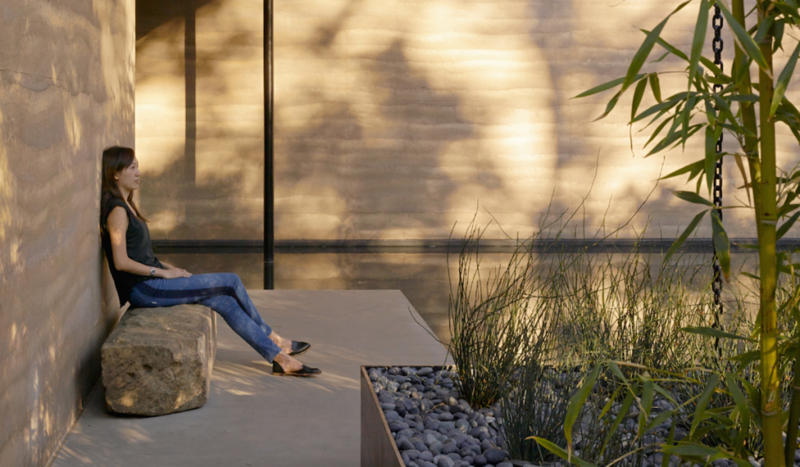 Hand-planed floors mimic the movement of the rammed earth walls. All photographs by Matthew Millman.